The Civilian Conservation Corps (CCC) was created by President Roosevelt in 1933 as a work relief program to combat poverty and unemployment among young men during the Great Depression. Persons housed in CCC camps worked on conservation and reforestation programs in rural areas, planted trees, fought forest fires, and helped build roads. They were paid $1 per day. The CCC camp in Valley Center opened in 1933 on 40 acres at 28741 Cole Grade Road. As many as 400 young men were housed at the site in newly-constructed barracks. The CCC camp closed in 1936, and the property was turned over to the State Department of Natural Resources for the California Department of Forestry and Fire Protection. 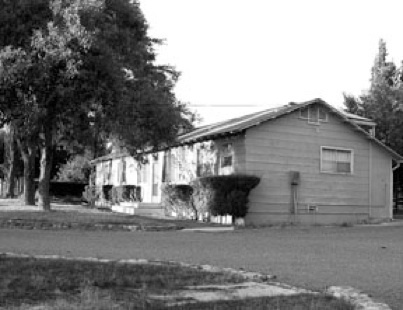 In cooperation with the County of San Diego, the site became a detention home for boys. Some of the CCC cabins were moved to other locations. In 1938, the site became a relief camp~ for jobless single men who were awaiting certification to participate in a jobs program sponsored by the Works Progress Administration (WPA). A central office building was constructed. Men at the camp performed nursery work as part of a reforestation program. By 1940, the camp became home to the California State Guard, a volunteer military reserve group that assumed responsibility of the National Guard when the latter was mobilized. In 1942, the Valley Center regiment site was dedicated as Camp Roe in memory of Capt William Roe, an organizer of the state guard. With official disbandment of the State Guard in 1947, Camp Roe closed and the site later became home of the California Department of Forestry (CDF). 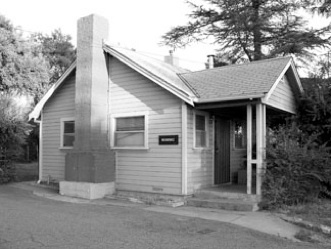 In 2006, the CDF moved its Valley Center station to new quarters at 14946 Vesper Road. In 2013, the Valley Center-Pauma Unified School District razed the structures to accommodate a sports field.